It is lunacy to believe you own the moon, and no amount of tomato juice you spill into the sea will make its water yours. Yet we ask the question “who owns antiquity?” as if it were a sane one. There is a reason for this. It’s the reason why Dennis Hope, founder of the Lunar Embassy and self-dubbed President of the Galactic Government, is no lunatic but an entrepreneur who has sold over 600m acres of “extraterrestrial real estate” to over 6m people. It’s the reason why Nestlé has rebranded itself as a corporate water steward, while bottling ground water at the expense of local communities. It’s also the reason why today, on the 200th anniversary of the British parliamentary vote to purchase the sculptures that Lord Elgin sawed off the Parthenon, the British Museum continues to insist that its trustees are legally entitled to the sculptures. And it’s the reason why human rights lawyers, marshalled by Amal Clooney, have once again advised a Greek government unwilling to put forward a legal claim that it should take this museum to court. 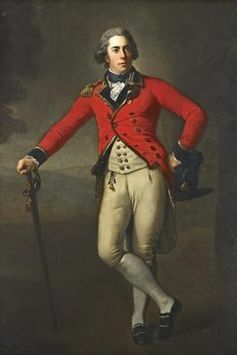 In 1801, Elgin was the British Ambassador to the Ottoman court from which he obtained a limited license to collect “some stones of no value” from the Acropolis, with which to adorn his estate back in Scotland. The excised sculpted blocks were shipped back to the UK and in 1811, on the verge of bankruptcy, Elgin offered to sell them to the nation. Five years later, the state bought 15 metopes, 17 pedimental sculptures, and 80 metres of frieze for £35,000 (equivalent to at least £2.4m today, placed in the trust of the British Museum. According the Guardian correspondent Helena Smith wrote: “Activists have been counting down to what they call the ‘black anniversary’“ (June 7 2016). Nothing could be further from the truth. Most activists agree that had the parliamentary vote to purchase not been won, the sculptures may well have ended up in the illegal art market and vanished without a trace. The real controversy surrounding the debate concerned the fact that the British government was willing to spend such a huge amount at a time of national famine. But all that was then and this is now. Among other things, Greece is no longer a subject province of the Ottoman Empire. 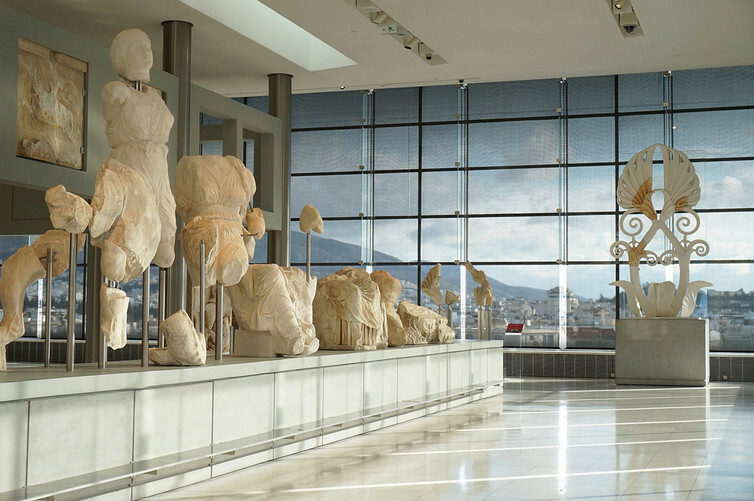 In 2009 the country opened the New Acropolis Museum, which has been specifically designed to display all of the sculptures, and currently displays plaster casts of the London marbles next to the original Athenian ones. We are trying to develop alliances which we hope would eventually lead to an international body like the United Nations to come with us against the British Museum. These curious juxtapositions all echo those of Nestlé’s chairman (and former CEO) Peter Brabeck-Letmathe, who claimed that when he said “access to water is not a public right” what he really meant was that “water is a human right” (albeit only the 1.5% of it that Nestlé is content not to buy and re-sell). The New Acropolis Museum currently charges a €5 general admission fee for the “heritage of humanity”. The entrance to the British Museum is of course, free; but it leads to suggested donation boxes, gift shops where one can purchase “Elgin Marbles” memorabilia, overpriced cafeterias, and ticketed special exhibitions. The Parthenon marbles form an integral part of a larger whole, a temple dedicated to Athena whose frieze, metopes, and pediments variously depict her birth, the Panathenaic procession, the sack of Troy, and an array of mythological fights and contests. There is no other example of a piece of art as crudely dismembered as the Parthenon, with even the heads and bodies of individual sculptures located in different countries (a few rogue pieces somehow ended up in the Louvre and other European museums which have yet to make any gestures of return). If the missing sculptures and fragments of this aesthetic travesty were to be reunited with those in the New Acropolis Museum, visitors could study them as one entire whole, with a direct view of the monument to which they belong. The time is right for all surviving sculptures to be reunited under this single roof. They should be displayed, for free, in a joint Greek and British international museum. This bicentenary provides the perfect opportunity for the two nations to collaborate instead of bicker over ownership. The British Museum would be praised worldwide for all its actions, culminating in a collaborative partnership that genuinely benefits humanity. It is high time that ownership of the past became a thing of the past and we began to think in terms of joint custody instead.